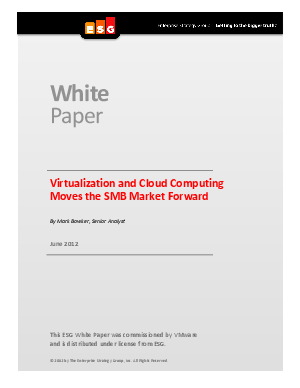 The whitepaper talks about the pressures that SMB is facing --including small budgets, limited skill sets among IT staff, and limitations in their existing processes. But today, they have opportunities to break through perceived technology barriers to achieve greater business success. Technologies such as virtualization enable them to expand their capabilities without a corresponding linear expansion of expenditure or effort, and how their challenges are solved with Virtualization and Cloud Initiatives.